James Zervios, VP of marketing and communications at the Obesity Action Coalition explains why obesity is often poorly communicated in mass media. I’ve spent my career working in the nonprofit sector, and as VP of marketing and communications for the Obesity Action Coalition I’ve seen first-hand the importance of clearly communicating your message in the face of stigma and bias. While more than 93 million Americans are impacted by obesity, the disease is often poorly communicated in mass media due to stigmatizing imagery and the lack of people-first language. People-first language is not a new concept. For years now we haven’t said diabetic or schizophrenic, and I’ve yet to hear cancerous when talking about individuals impacted by cancer. However, obesity seems to be exempt from this courtesy. If we look at any news story on the subject, we see "obese" in every mention. The problem with not using people-first language is that we dehumanize the person. People are not their disease. It is a part of them, but it doesn’t encompass who they are. As an organization made up of individuals affected by this disease, we advocate using "affected by obesity" or "with obesity" when discussing this disease. For too long we’ve accepted the use of "obese." This has to end, and we as communicators can make this happen. The next issue, even more alarming than the lack of people-friendly language, is the type of imagery utilized when visually portraying obesity. You may ask yourself "What’s wrong with the imagery used?" The answer – nobody has a head. Look at media coverage of any other disease - cancer, HIV, and others – and the imagery represents a full person from head to toe. With obesity, you often find headless imagery, belly shots, buttocks shots, and people eating food in an unrealistic manner. None of this imagery is properly representative and it greatly perpetuates and dehumanizes people with obesity. People with obesity are productive members of society. They are teachers, firemen, bank tellers, doctors, and they’re our friends, family members, loved ones, and, most importantly – they’re people… with heads. Next time you choose an image to accompany an article about obesity, ask yourself, "Am I using the right imagery?" You may need a picture of a person, a graph, cells, or something else, but you certainly shouldn’t use a headless image. 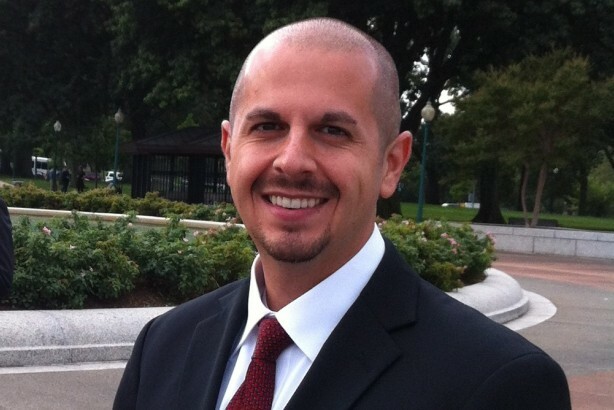 James Zervios is the VP of marketing and communications at Obesity Action Coalition.